You might have seen flashy startup screens when starting a program. They sometimes cover the whole screen but in most of the cases they are small rectangular boxes. Well, if you don’t remember seeing a splash screen then you can check out softwares like Adobe Reader, Adobe Photoshop, Microsoft office, Norton AV, etc. 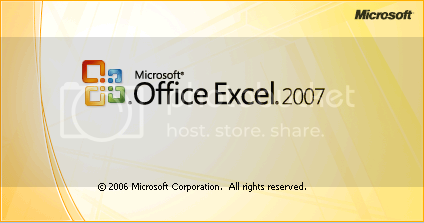 The below pic shows MS Excel splash screen. These splash screens are really annoying, disabling them separately for different softwares is a bit time consuming as you have to search for the option to disable it, sometimes you won’t find an option, in such a case you’ll have to edit registries. To avoid this mess you can make use of Splashkiller. Splashkiller is a small utility freely available which helps you to disable those splash screens that appear when an application is loading. It adds a small crown to your taskbar; if it blocks a splash screen it will change its color to red. If you want to exclude a particular software splash screen from being blocked you can do so by configuring SplashKiller to ignore the software. You can do it by right clicking on the SplashKiller tray icon and selecting config. 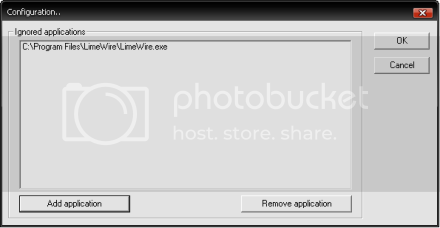 Now click Add application and browse the executable file of the software. Splashkiller works on both Windows Vista and XP. It requires no installation and only takes up 2MB of your memory. You can download it from here.